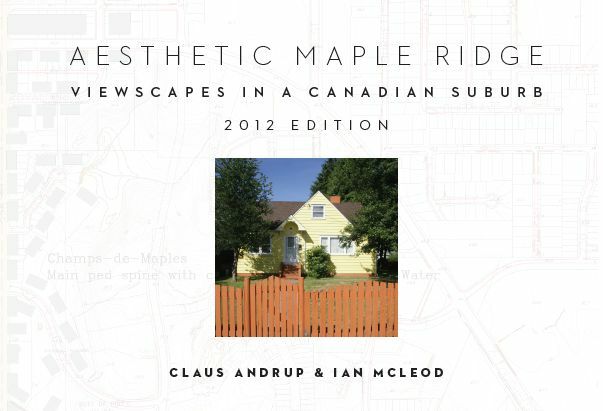 After some weeks of saving our pennies, my neighbour Claus Andrup and I have printed another 50 copies of Aesthetic Maple Ridge, an illustrated booklet about our home town. I sold two copies from my doorstep this afternoon, and dropped off two more copies at the Fraser Valley Regional Library. A runaway success! 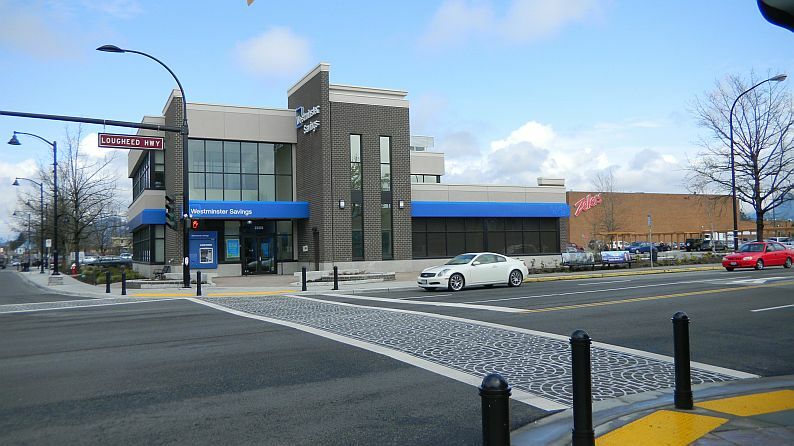 The title for the next little book may be “Incomplete Maple Ridge” Example: We have been fortunate to have Thrifty’s take up residence in Haney Place Mall (I can recommend the ribeye), but the exterior is very uninviting, it seems to me – and others I have spoken too. There is just this wide expanse of blank wall that makes what is an otherwise great shopping experience, hidden behind what would better be suited to a prison. It is typical of the Ridge. We only manage to finish things in a half-assed manner. We have some decent ideas, but once the construction workers leave the scene it becomes clear that there was no appetite or the feeling to spend money landscaping, aesthetics and creating an inviting space. It will take leadership to steer developers in the right direction. With so many projects currently underway in the downtown one can only hope that they will not disappoint. Two big ones of course are the casino on Lougheed and Target. If we have a ‘design committee’ they should be tasked with addressing the abysmal record we hold for poor design, landscaping and creating inviting and memorable public spaces. So far we get about 3 out of 10 for results and 5 out 10 for attempt. “Bosco1949” is my neighbour and co-author Claus Andrup.